To nominate a person for Alumnus of the Year, please fill in the nomination form found here and submit to the President’s Office either in person or email to alumni@stbons.ca. Stan Cook ’62 has worked tirelessly throughout his life to become the accomplished athlete, businessman, tourism ambassador and family man he is today. 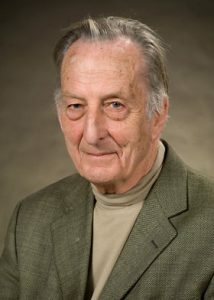 After leaving the halls of St. Bonaventure’s College in 1962, Stan went on to attend both Memorial University of Newfoundland and St. Francis of Xavier University. He has been a dedicated member of the St. Bonaventure’s Community as a student and then parent and alumnus. While at St. Bon’s, Stan participated in many sports. He went on to prove himself an extraordinary hockey player and has received numerous awards celebrating his athletic abilities. Stan, or “Mr. Hockey” as many know him, was inducted into the Hockey Newfoundland and Labrador Hall of Fame in 2004 and is also the St. Francis of Xavier University Hall of Fame for Hockey. Stan has also made numerous accomplishments professionally. He founded and ran Stan Cook’s Sea Kayak Adventures, operating out of Cape Broyle, Newfoundland from 1970-2018. The success of his business led Stan to become heavily involved in the tourism industry. Several awards recognize Stan’s entrepreneurial success, including the Parks Canada’s Provincial Sustainable Tourism Award in 1999, the City of St. John’s Tourism Legends Award in 2004, the Destination St. John’s Silver Puffin Award for Service Excellence in 2005 and many more. While developing Stan Cook’s Sea Kayak Adventures, Stan did not let his time become unilaterally focused. Stan raised three children with his wife, Nancy, was a physical education teacher at Brother Rice from 1970-2001, ran Stan Cook Hockey School from 1969-1984, coached countless sports teams (including 3 Boyle Trophy-winning hockey teams), founded the Newfoundland Canoeing Association and the Provincial Board of Canadian Red Cross Small Craft Safety and volunteered on numerous Boards and committees. Stan recently closed the doors of Stan Cook’s Sea Kayak Adventures in order to retire and spend more time with his family, including five grandchildren. Kevin Breen ’62 was born in 1944, the first of seven children raised in St. John’s, NL. He attended St. Bon’s from 1951 to 1962 before entering into the workforce. Kevin has given much of his time back to the City of St. John’s both professionally and as a volunteer. He has seen much success in the world of Finance and Administration and was awarded the prestigious designation of Chartered Director (C. Dir.) from DeGroote School of Business at McMaster University on 2010 at the age of 65. Kevin, a past City Councillor, has acted as director of such important organizations as the St. John’s Port Authority, Canadian School Boards Association, the NL branch of the Canadian Red Cross and the Victorian Order of Nurses. He has served on the board for the NL branch of the Atlantic Lottery Corporation. For his dedication, Kevin has been named an Honorary Life Member of both the NL School Boards Association and the NL Lung Association. Kevin was Chairman of the Roman Catholic School Board from 1986-1990, as well as the first amalgamated non-denominational school board in Newfoundland, the Avalon East School Board in 1997. The Rotary Club of St. John’s is an organization particularly close to Kevin’s heart. In recognition of his contributions to the organization, Kevin was named a Paul Harris Fellow by Rotary International. Using his professional expertise in finance, Kevin has voluntarily contributed to many local foundations and charities, including the NL Lung Association and St. Patrick’s Mercy Home. 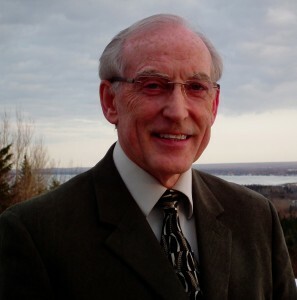 He has volunteered for over 35 years with Voice of Wesley Radio (VOWR), a volunteer-based broadcast owned by the United Church of Canada, for which he continues as a promoter and broadcaster. Dr. Kevin Keough ’60 received his doctoral degree from the University of Toronto in 1971. 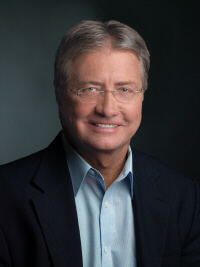 He is past President and Chief Executive Officer of the Alberta Heritage Foundation for Medical Research and currently operates Kevin Keough Consulting. Prior to his role with AHFMR he was Chief Scientist at Health Canada. Past roles have included Vice-President (Research and International Relations), and Head of Biochemistry at Memorial University of Newfoundland where he was a Professor of Biochemistry in its Biochemistry and Pediatrics Departments. Dr. Keough maintained an active research laboratory for over 32 years. His research interests include the molecular organization and function in lung surfactant and membranes, and liposomes as carriers for vaccines and drugs. Dr. Keough is a Fellow of the Canadian Academy of Health Science, and a Member of its Council, and is a Member of the Canadian Institute of Academic Medicine. He is a Member of the Council of Science and Technology Advisors an external national expert advisory council that provides guidance on federal science and technology issues to the cabinet of Government of Canada, and was until recently its first Deputy Chair. 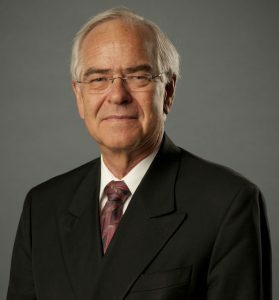 As a former Executive Member of the Medical Research Council, he was instrumental in the creation of the Canadian Institutes of Health Research, and is now a member of its Interim Governing Council. He was a Founding Member of the Board of Directors of Genome Canada. He was the Canadian Co-Chair of the Canadian-European Union of Science and Technology Agreement. He was also a member of the boards of directors of the Genesis Group Inc., the Canadian Centre for Fisheries Innovation, the Canadian Centre for Marine Communications, the Centre for Cold Ocean Resources Engineering, Operation ONLINE, and continues on the Board of the Newfoundland and Labrador Science Centre. He was a member of the University Advisory Group of Industry Canada. Dr. Keough is a Past-President of the Canadian Federation of Biological Societies, the Canadian Society of Biochemistry and Molecular and Cellular Biology and the Canadian Association of University Research Administrators. He is also the Founder of NovaLipids Incorporated. Gary Mooney is a Newfoundlander and a St. Bon’s alumnus  who has lived most of his adult life outside the Province, but who has never lost touch with his roots. Gary has been a foundational supporter of Shallaway Choir and Stella Burry House. He has also endowed several scholarships for Newfoundland students to attend Osgoode Hall Law School in Toronto. Gary has had an extremely diverse career as a Jesuit Priest, an Academic, a Lawyer and an Entrepreneur. He was formerly CEO, and latterly Chairman Emeritus of the Canadian division of a Fortune 500 company, and pioneered title insurance and legal processing outsourcing for financial institutions in Canada. He was a finalist in Ernst and Young’s Ontario Entrepreneur of the Year competition and has been named Businessman of the Year by the Board of Trade in the City of Mississauga. After attending St. Bon’s and St. Mary’s University in Halifax, Gary entered the Society of Jesus in 1966 and was ordained a Jesuit Priest in 1973. He went on to achieve success in the academic world, in law and latterly in business as an entrepreneur. Gary has multiple degrees from various universities including the University of Guelph, the University of Toronto, Toronto School of Theology of the University of Toronto (Regis College), Cambridge University, and Osgood Law School. He has also served on numerous commercial and philanthropic boards including CMHC, Trustmark, the Executive Committee of the Governing Council of the University of Toronto, Landmark College, The Learning Disability Association of Canada, the Credit Valley Hospital Foundation, Osgood Hall Law School Dean’s Advisory Board and has recently been appointed to the National Council of the C.D. Howe Institute. He is also a Senior Fellow at Massey College in the University of Toronto. Gary is a recipient of many honours and awards including two Honorary Doctorates, Rotary’s Paul Harris Fellowship, The Queen’s Jubilee and Centennial Medals, The Gold Key Award from Osgood Hall Law School and the Arbor Award from the University of Toronto. Dr. Dennis Furlong ‘62 began his career as a school teacher before earning a medical degree from Memorial University in 1976. Following the opening of his family practice in New Brunswick he served as president of the College of Physicians and Surgeons and the New Brunswick Medical Society before being appointed to the Premier’s Council on Health Strategy. Elected to the New Brunswick legislature in 1999, he served two years as Minister of Health and Wellness and Community Services, then two years as Minister of Education. He returned to his medical practice in 2003 and two years later was named to the CFB Gagetown Agent Orange herbicide spray investigation. He later was appointed chair of the province’s Trauma System Advisory Committee, and served on the Premier’s Round Table on Sustainability. In 2011 he became chair of a Provincial Committee on Health Services. Dr. Furlong has been a physician member and preceptor for the McGill-Dalhousie medical program, a lecturer for the University of New Brunswick Nursing Faculty, and a Canadian faculty member for the United Kingdom King’s Fund Health Care Leadership Program. 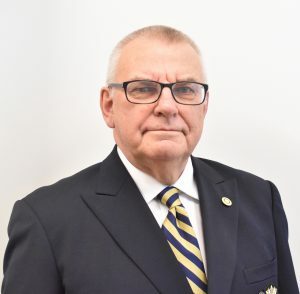 He is a Rotary International Paul Harris Fellow, recipient of the New Brunswick Medical Society Order of Merit, received an Honorary Doctor of Laws from The University of New Brunswick in 2008 and is a CMA Senior Member. An accomplished athlete, he not only has won gold at the Canadian Senior Games, but has also won an NRC grant to research and develop a ground contact monitoring device for Olympic race walking. He was also awarded the national Sir Charles Tupper Award, recognizing physicians who demonstrate exemplary leadership, commitment and dedication to the cause of advancing the policies, views and goals of the Canadian Medical Association at the federal level. A published author, Medicare Myths – 50 Myths We’ve Endured About The Canadian Health Care System, Dr Furlong continues to actively promote solutions to New Brunswick’s and Canada’s health care challenges. Daniel E. Williams, Q.C., or “Danny” as he is more familiarly known, attended St. Bon’s from 1957 to 1962 when, because of the closure of St. Bon’s High School, he moved to Gonzaga High School where he graduated in 1965. After obtaining his BA degree from Memorial University in 1969, he was awarded the Rhodes Scholarship and attended Oxford University where he received his BA in jurisprudence and then proceeded to Dalhousie University where he received a LL.B. degree. 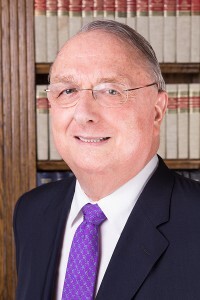 Admitted to the Bar in 1972, he first joined his father’s law firm and then, in 1981 he founded his own law firm of Williams, Roebothan, McKay and Marshall. He was appointed Queen’s Counsel in 1984. Besides his law career, Mr. Williams has been actively and successfully involved in many business ventures, notably the foundation of Avalon Cablevision (now ROGERS) in 1975. He has also invested in golf courses and resorts throughout the province. In 2001, Mr. Williams entered provincial politics as a Member for Humber West. He served as Progressive Conservative party Leader until becoming Premier of Newfoundland and Labrador on October 21, 2003, a position to which he was re-elected with a large majority in 2008. While Premier, Mr. Williams forcefully advanced the interests of Newfoundland and Labrador with considerable success. Mr. Williams stepped down as premier in late 2010. Since then, he played a key role in bringing an American Hockey League team back to St. John’s. Mr. Williams is president and CEO of the St. John’s IceCaps. He is currently developing 2,400 acres of prime land in St. John’s; it’s the largest real estate development in Atlantic Canada. Archbishop William Carew was educated at St. Bonaventure’s College from 1927 to 1940, and at St. Paul’s Seminary of the University of Ottawa. He was ordained to the priesthood 15 June 1947. From 1950 to 1952 he specialized in diplomacy at the Vatican’s diplomatic college in Rome. Returning to St. John’s, Father Carew was Secretary to Archbishop P.J. Skinner during 1952-1953. Returning to Rome, he became an official of the Vatican Secretariat of State from 1953 to 1969. He was bureau chief of the English language section from 1963 to 1969 and as such handled all Papal audiences by English-speaking heads of state and government. He became a Right Reverend Monsignor in 1964 and accompanied His Holiness Pope Paul VI on his pilgrimage to the Holy Land in January 1964 and on his visit to Uganda in 1969. He was a member of the Papal Mission to the tercentenary of the Canadian Hierarchy in Quebec in October 1959 and to the quadricentennial of the evangelisation of the Philippines in Cebu, April 1965. On 27 November 1969 he was named titular Archbishop of Telde and Apostolic Nuncio to Rwanda-Burundiin Central Africa. He was consecrated 4 January 1970 in St. Peter’s Basilica by the late Cardinal lldebrando Antoniutti, whom he had served as personal secretary at the Apostolic Delegation in Ottawa from 1947 to 1950. 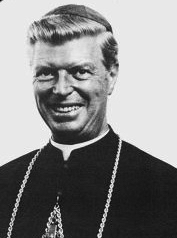 Archbishop Carew arrived in Kigali, Rwanda, 28 February 1970 and served as Nuncio in both republics for four and a half years. In April 1972 he was sent as extraordinary envoy of His Holiness on a special mission to Bangladesh. In 1974 the Archbishop was named Apostolic Delegate in Jerusalem and Palestine, as well as Apostolic Pro-Nuncio to Cyprus and Apostolic Visitor to Greece. While in these posts he served as Grand Chancellor of the University of Bethlehem, Ecclesiastical Superior of the Advanced Theological Studies at Tantur, and of the House of Abraham Hospice in Jerusalem. Following this he went to Tokyo and was named Apostolic Pro-Nuncio on 30 August 1983. Paul O’Neill writer, actor, community activist, historian and former CBC producer graduated from St. Bonaventure’s College in 1948. He went on to study at the National Academy of Theatre Arts in New York. He toured extensively as a professional actor in the United States and England from 1949-1952. By 1954, he joined the CBC as a producer, eventually becoming the Executive Producer of Performance Programming, creating popular CBC programs such as Skipper and Company, Reach for the Top and Music Craft before retiring in 1986. 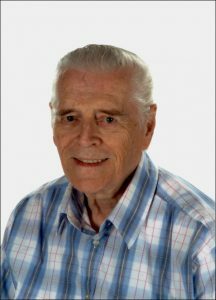 He has a long and distinguished career in the Newfoundland community, acting as the founding president of the Newfoundland Writers’ Guild and past president of the John Howard Society. He was also a member of the St. John’s Folk Arts Council, Newfoundland Historical Society, ACTRA, the Radio Producers’ Association, Heritage Advisory Committee of St John’s, the Theatre Arts Council, the Newfoundland Historic Parks Association, the Provincial Arts Council and the Irish Newfoundland Association. He also lectured for over twelve years on Newfoundland history at Memorial University. O’Neill has been the recipient of nine Newfoundland and Labrador Arts and Letters Awards, the Canadian Historical Associations’ Regional History Prize for The Oldest City (1979), the Newfoundland Historical Society Heritage Award (1985), the Lifetime Achievement Award in Broadcasting from the CBC (1986), a Doctor of Laws, Memorial University (1988), the Order of Canada (1990), has been elected to Newfoundland and Labrador Arts Hall of Honour (1991), the Baccalieu Trail Board of Trade’s Hall of Fame (1997), the John Howard Society Humanitarian of the Year Award (2001), the Newfoundland Historic Sites Association Paul O’Neill University Scholarship (2002), and the Freedom of the City Award, City of St. John’s (2004). A true “doctor without borders”, John Lewis has consistently worked to provide care for people at home and abroad. A family physician in Newfoundland for more than 30 years, he established numerous community-based medical services in remote areas of his province. 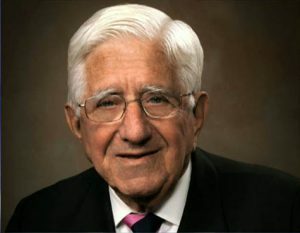 He has provided leadership and guidance to generations of medical students and physicians at Memorial University, and helped create innovative training programs such as the Family Practice Discipline. Dr. Lewis was honoured by his peers in his nomination for the Murray Stalker Award of the College of Family Physicians of Canada, which is the most prestigious award given by this national body recognizing exemplary commitment to family medicine. Throughout his career, and even in retirement, he has undertaken numerous locums in remote clinics in Newfoundland, as well as in several African nations. Dr. Lewis was appointed a Member of the Order of Canada in 2008. Aloysius Henley (Alec) was the ninth of the nine Henley boys to be educated at St. Bonaventure’s College. He remained connected to the school as a member of the Old Boys Association for many years. He helped raise funds for the St. Bon’s Forum reconstruction after a fire and was a major contributor to the re-establishment of St. Bonaventure’s College in 1999 and to the restoration of the Chapel in 2003. In 1944 he started what is now the Alec. G. Henley Group in which he was actively involved until age 89. He earned his Chartered Life Underwriters CLU designation in 1953. He was also a founding shareholder and founding Chairman & CEO of Avalon Cablevision Ltd.
Alec actively contributed to his community and his Church throughout his life. His roles included: founding member of the Progressive Conservative Party of Newfoundland and Labrador in 1948, St. John’s City Councilor in 1955, founding member of the St. John’s Jaycees and of the Society for the Care of Crippled Children, member and Chairman of the Board of the St. John’s Children’s Rehabilitation Centre , and Chairman of the Royal Commission on Regional Government for the St. John’s Urban Region (the 1976 “Henley Royal Commission”), which first proposed both the Harbour Arterial Road, the Crosstown Arterial Road and the Outer Ring Road. Alec was active in the Royal St. John’s Regatta Committee for over 65 years and inducted into the Royal St. John’s Regatta Hall of Fame in 1997. Alec also chaired the organizing committee for the 1972 Men’s Brier Curling Championships in St. John’s, was Vice Chairman of the 1977 Canada Summer Games Committee, a Past-President of Bally Haly Golf and Country Club and a past director of the Royal Newfoundland Yacht Club. Alec’s contribution to his church involved numerous roles including Chairman of the St. John’s Roman Catholic School Board. 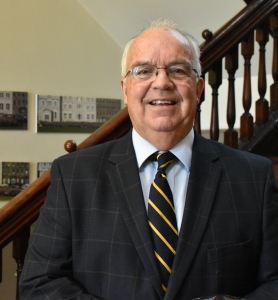 He was very proud to serve as Chairman of the 200th Anniversary Celebrations of the Archdiocese of St. John’s through which he chaired the Committee responsible for the 1984 visit of Pope John Paul II. In 1985 he was honoured by Pope John Paul II and appointed a Knight of the Order of St. Gregory (KSG).